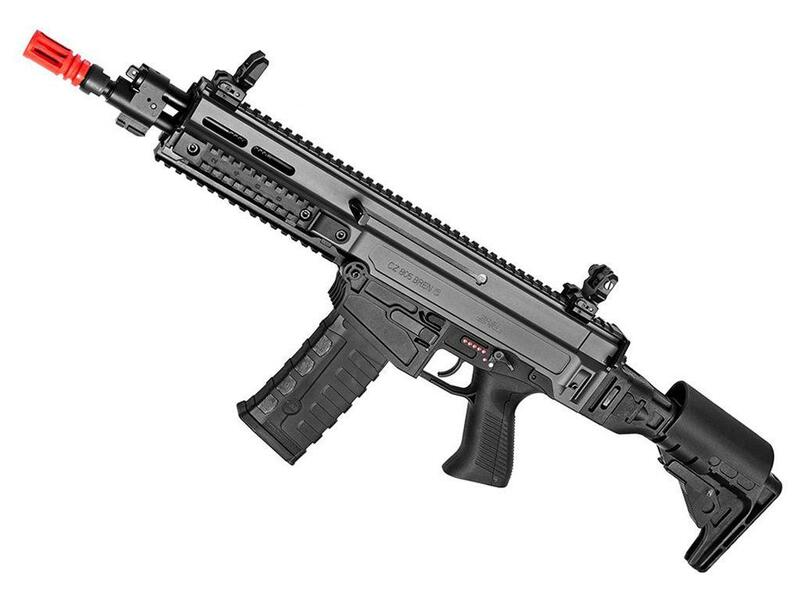 CZ 805 BREN A2 AEG Two-Tone Airsoft Rifle | ReplicaAirguns.ca | New Website! Comments: Having a compact rifle on hand makes all the difference in CQB scenarios. 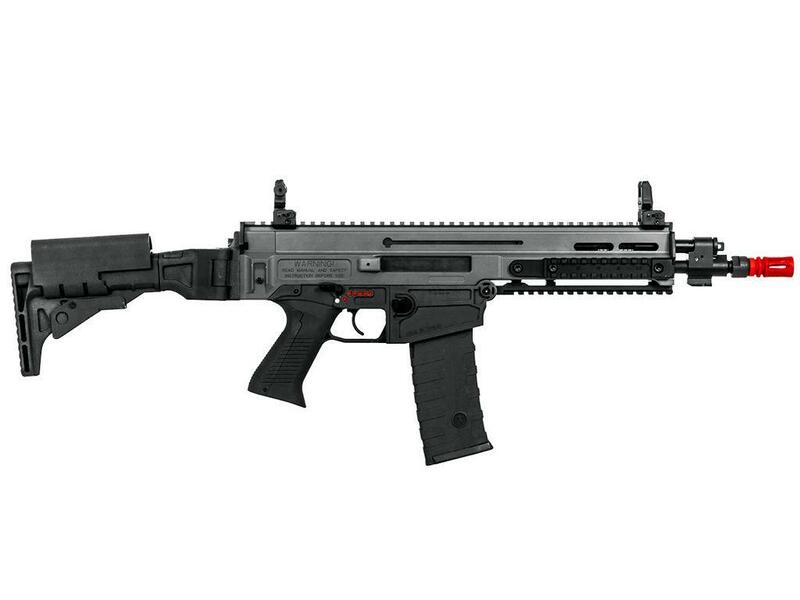 With its short barrel length and foldable stock, the ASG CZ 805 BREN A2 Airsoft Rifle is easy to maneuver in combat. 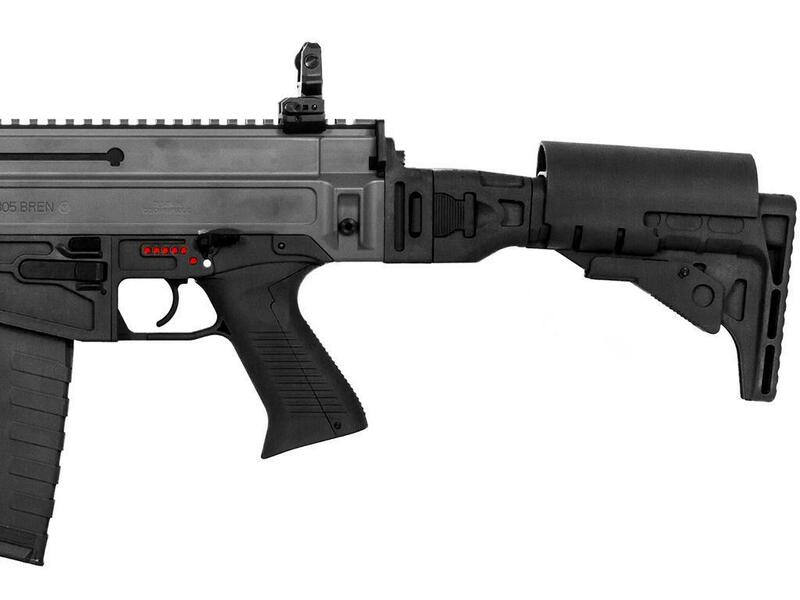 The AEG comes equipped with a four-sided Picatinny rail system for adding on scopes or lasers. Rifle is fully ambidextrous and comes with removable front and rear sights. The grey and black two-tone colouring adds a tactical look and finish. Batteries and chargers not included.